Mama finished making these beautiful fingerless mittens for me today! They’re super soft, comfortable, and a lovely shade of turquoise. 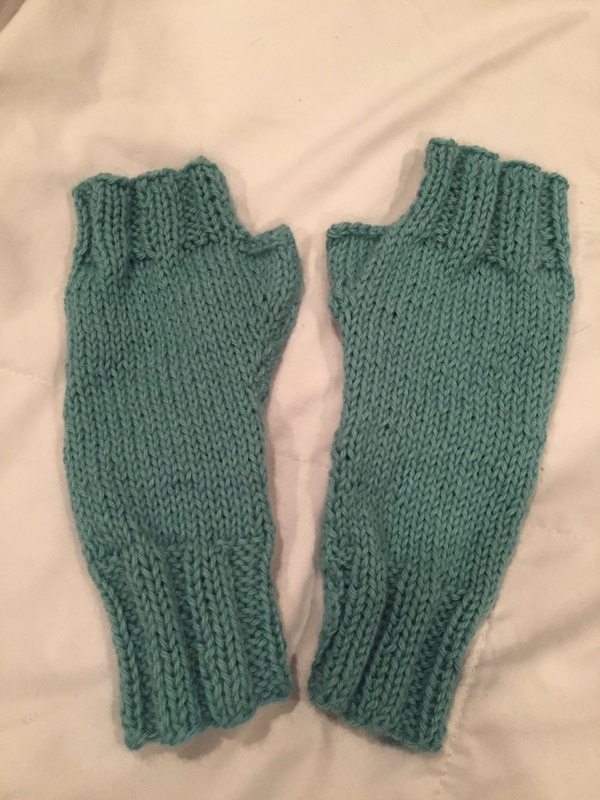 Winter will be better because of these homemade gloves. Today’s #OneGoodThing was a gorgeous gift made with love by Mama! Day 231 of 365. And Day 962 in a row (here’s the first 366 & the following 365)!